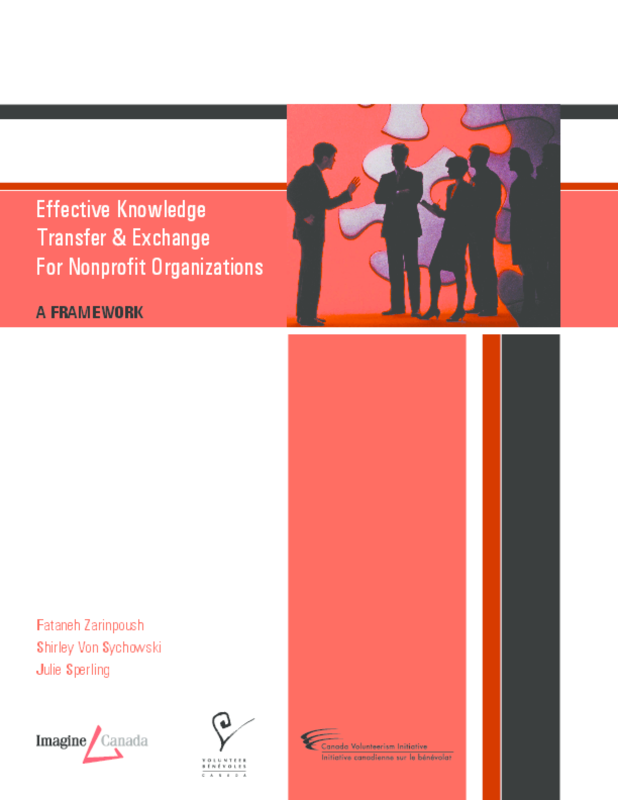 This report provides a framework that is intended to help non-profit organisations plan, conduct, and evaluate efforts to transfer and exchange knowledge with others. It aims to promote a more systematic approach to knowledge transfer and exchange among nonprofit organisations and encourage the consideration of a variety of approaches that can be employed. It also describes the importance of measuring the effectiveness of knowledge transfer and exchange activities. Ten examples of evaluation tools for knowldege transfer and exchange are provided.